Do you have the right attributes to work on a superyacht? Many people dream of living and working on a billionaire’s yacht. Visiting exotic places, eating amazing food and partying hard with champagne. However, even the lure of mega bucks in wages and tips, travel, and expense free living will not be for everyone. It does take a certain type of person to make a long term success of this type of career or even make it through their first season. The ability to take orders & carry them out to the letter. On any ship, the captain is the one that calls the shots and this creates a hierarchy onboard of people filtering down his or her wishes. If you have just joined the yacht at a lower rank, you may be taking orders from the First Mate, Engineer, and Chief Stew all with different priorities. 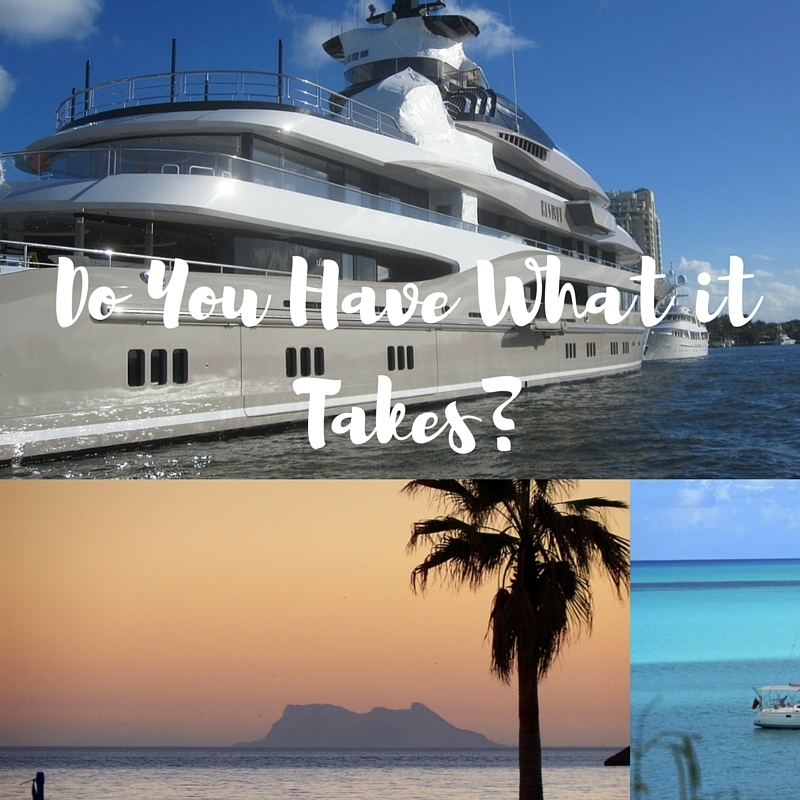 You can not be the type of person who gets homesick and must realise that the needs of the vessel, owners and charter guests will always be placed above your personal needs. Your sisters 21st, your boyfriend’s graduation or even your granny’s funeral will more often than not have to be missed if you want to stay onboard for the season. Living in close confines with others might come easy if you are from a big family where sharing a room with a sibling was the norm. If however, you have always enjoyed your own space, be prepared to lose that luxury. You will have very little personal space or privacy so building good relationships with your fellow crew is a must. Sleep is a luxury on a superyacht. If you are the kind of person that needs quite a lot of sleep and will be miserable without it then forget this type of work. You will be the last one to go to bed and the first up in whatever role you play onboard. The guests or owners must see you working all the time they are around and you must be available for them to be run ashore at 6.30am for a bike ride or have their dress ironed at 3am for a club session. If you have these attributes, you could have the time of your life. 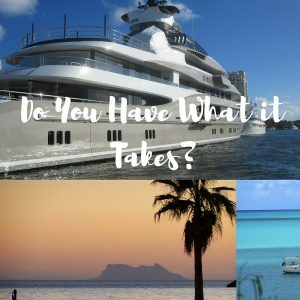 Travelling the world on a luxury yacht, having fun with like minded crew and saving heaps of money for those rainy days to come when you need to jump ship, could be the right career choice for you right now. If you are unsure of the qualifications you require and need to get some RYA training then get in touch with www.corfuseaschool.com. Corfu Sea School run practical and shore based training within the sail cruising, motor cruising, and powerboating schemes.